According to SearchMetrics.com “Google Ranking Factors U.S. 2012” report, Facebook Shares now appear to have the strongest correlation between volume and Google SERP rank–FB Shares ranked higher than the number of backlinks. As an SEO, this was a little alarming and made me feel uneasy. This report shows that “Social [as] the new SEO” may be becoming a truth (that we SEO’s don’t much like). I’ve been fighting it. But now would like to test it. Who’s with me? First, let’s look at the best Facebook Shares resources to date to learn how to get more Facebook Shares. Then, we’ll dissect a recent FB promotion to see what they did well and wherein they were lacking. You can check your own EdgeRank at http://edgerankchecker.com. SharedCount This tool shows Shares, Likes, Google Pluses, Tweets, Diggs, etc. Among large audience clients (celebrities and brands), we typically see the most shares coming from unique/interesting videos. Usually these are behind-the-scenes peaks, though we’ve seen great shareability from loved-but-forgotten YouTube videos too. The Why: This piece of content could have been much better optimized for SEO. And I’ll explain that. Also, the lead singer of my old band is now the main designer for NEFF. It was the first status update I saw on my FB timeline that I’d actually share. I would love to win a NEFF Swag Pack! Why not “like” this? They didn’t ask me to share, so I didn’t think about it I did “Like” it though. But what if I did want to Share it cause I want my friends to win Swag Packs too? Hmm. Oh, look! I clicked on the little Share button and a new pop up inviting me to share the giveaway came up. I want to see if any of my friends Shared it too. Well, these aren’t my friends, so they must be public Shares. That’s okay though. The Good. The Bad. The Ugly. SEO-etically Speaking. This was a great promotion for NEFF to get “Likes”, but as you can see, the “Shares” are considerably low. NEFF could have also called for “Shares”, or Shares alone as part of the contest. Another thing I noticed lacking, NEFF did not include a link within the description and the image is not pulled from a website URL. This provides no benefit to the NEFF website. 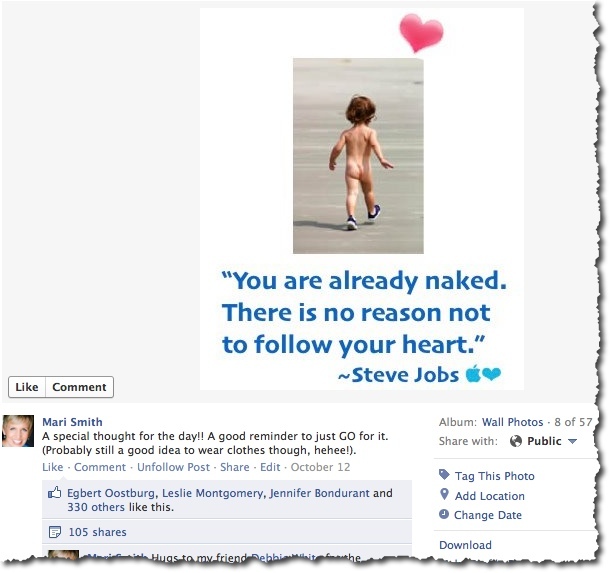 It may provide juice to their Facebook page from where the image was pulled–so better than nothing. This piece of content has a lot of untapped SEO power. The only real thing NEFF didn’t do well, from an SEO standpoint, they didn’t add a link to their website in the description or pull the image from a page on their site. They should have added a link to pass SEO juice. Likes are still good to receive, so they didn’t mess up there. But, if SearchMetrics’ study proves true, asking for Shares would have been a great addition to the promotion. So, in preparation for the “New SEO”, “Social SEO”, etc. 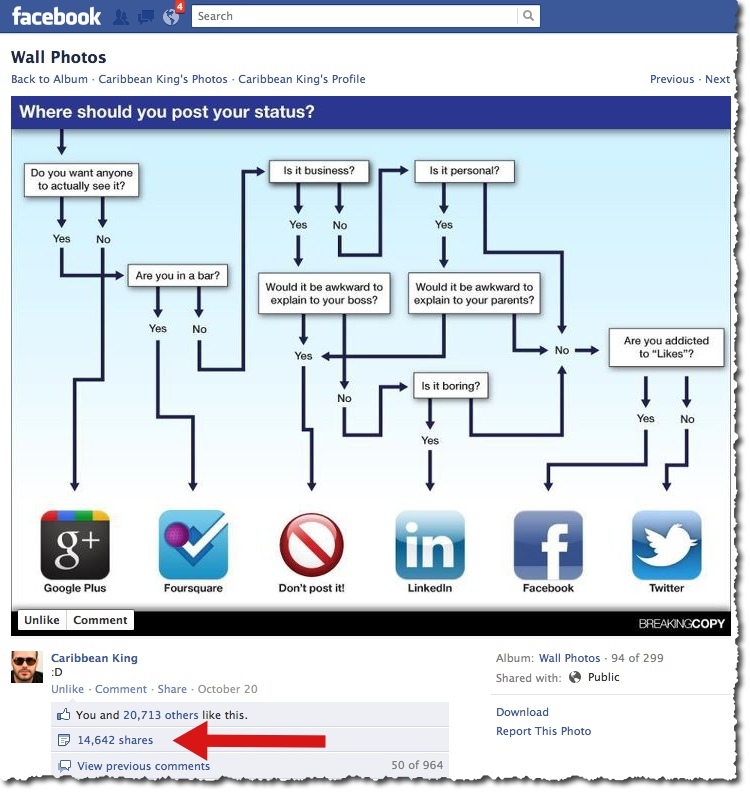 spend some time testing the effect of accumulating FB Shares on your rankings. Whether or not Social is the new SEO is still under debate. But as to whether or not social signals affect rankings, the most recent studies and reports show high correlation betwixt the two. So why not test. The worst that will happen is that you gain more social proof. I’d love to hear your thoughts and/or experiences with Facebook Shares and their affect on your rankings. 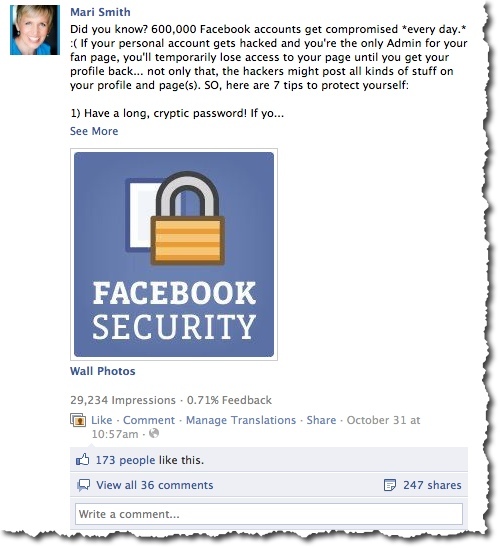 If you have other brilliant ideas on how to get more Facebook Shares, feel free to “Share” them here. Good luck, everybody! 13. Keyword in Description Tag: Another important relevancy signal. 20. Page Loading Speed via HTML: Both Google and Bing use page loading speed as a ranking factor. Search engine spiders can estimate your site speed fairy accurately based on a page’s code and filesize. 27. Historical Updates Page Updates: How often has the page been updated over time? Daily, weekly? Frequency of page updates also play a role in freshness. 30. Keyword Word Order: An exact match of a searcher’s keyword in a page’s content will generally rank better than the same keyword phrase in a different order. For example: consider a search for: “cat shaving techniques”. A page optimized for the phrase “cat shaving techniques” will rank better than a page optimized for “techniques for shaving a cat”. 32. Outbound Link Theme: According to SEOMoz, search engines may use the content of the pages you link to as a relevancy signal. For example, if you have a page about cars that links to movie-related pages, this may tell Google that your page is about the movie Cars, not the automobile. 34. Syndicated Content: Is the content on the page original? If it’s scraped or copied from an indexed page it won’t rank as well as the original or end up in theirSupplemental Index. 35. Helpful Supplementary Content: According to a now-public Google Rater Guidelines Document, helpful supplementary content is an indicator of a page’s quality. Examples include currency converters, loan interest calculators and interactive recipes. 36. Number of Outbound Links: Too many dofollow OBLs may “leak” PageRank, which can hurt search visibility. 43. HTML errors/WC3 validation: Lots of HTML errors or sloppy coding may be a sign of a poor quality site. While controversial, many in SEO think that WC3 validation is a weak quality signal. 61. Content Provides Value and Unique Insights: Google has stated that they’re on the hunt for sites that don’t bring anything new or useful to the table, especially thin affiliate sites. 62. Contact Us Page: The aforementioned Google Quality Document states that they prefer sites with an “appropriate amount of contact information”. Supposed bonus if your contact information matches your whois info. 63. Domain Trust/TrustRank: Site trust — measured by how many links away your site is from highly-trusted seed sites — is a massively important ranking factor. You can read more about TrustRank here. 64. Site Architecture: A well put-together site architecture (especially a silo structure) helps Google thematically organize your content. 65. Site Updates: How often a site is updated — and especially when new content is added to the site — is a site-wide freshness factor. 66. Number of Pages: The number of pages a site is a weak sign of authority. At the very least a large site helps distinguish it from thin affiliate sites. 67. Presence of Sitemap: A sitemap helps search engines index your pages easier and more thoroughly, improving visibility. 68. Site Uptime: Lots of downtime from site maintenance or server issues may hurt your ranking (and can even result in deindexing if not corrected). 69. Server Location: Server location may influence where your site ranks in different geographical regions. Especially important for geo-specific searches. 70. SSL Certificate (Ecommerce Sites): Google has confirmed that theyindex SSL certificates. It stands to reason that they’ll preferentially rank ecommerce sites with SSL certificates. 71. Terms of Service and Privacy Pages: These two pages help tell Google that a site is a trustworthy member of the internet. 72. Duplicate Content On-Site: Duplicate pages and meta information across your site may bring down all of your page’s visibility. 74. Mobile Optimized: Google’s official stance on mobile is to create a responsive site. It’s likely that responsive sites get an edge in searches from a mobile device. 76. Site Usability: A site that’s difficult to use or to navigate can hurt ranking by reducing time on site, pages viewed and bounce rate. This may be an independent algorithmic factor gleaned from massive amounts of user data. 77. Use of Google Analytics and Google Webmaster Tools: Some think that having these two programs installed on your site can improve your page’s indexing. They may also directly influence rank by giving Google more data to work with (ie. more accurate bounce rate, whether or not you get referall traffic from your backlinks etc.). 78. User reviews/Site reputation: A site’s on review sites like Yelp.com and RipOffReport.com likely play an important role in the algorithm. Google even posted a rarely candid outline of their approach to user reviews after an eyeglass site was caught ripping off customers in an effort to get backlinks. 79. Linking Domain Age: Backlinks from aged domains may be more powerful than new domains. 81. # of Links from Separate C-Class IPs: Links from seperate class-c IP addresses suggest a wider breadth of sites linking to you. 82. # of Linking Pages: The total number of linking pages — even if some are on the same domain — is a ranking factor. 83. Alt Tag (for Image Links): Alt text is an image’s version of anchor text. 84. Links from .edu or .gov Domains: Matt Cutts has stated that TLD doesn’t factor into a site’s importance. However, that doesn’t stop SEOs from thinking that there’s a special place in the algo for .gov and .edu TLDs. 85. PR of Linking Page: The PageRank of the referring page is an extremely important ranking factor. 86. Authority of Linking Domain: The referring domain’s authority may play an independent role in a link’s importance (ie. a PR2 page link from a site with a homepage PR3 may be worth less than a PR2 page link from PR8 Yale.edu). 87. Links From Competitors: Links from other pages ranking in the same SERP may be more valuable for a page’s rank for that particular keyword. 88. Social Shares of Referring Page: The amount of page-level social shares may influence the link’s value. 89. Links from Bad Neighborhoods: Links from “bad neighborhoods” may hurt your site. 90. Guest Posts: Links coming from guest posts — especially in an author bio area — may not be as valuable as a contextual link on the same page. 91. Links to Homepage Domain that Page Sits On: Links to a referring page’s homepage may play special importance in evaluating a site’s — and therefore a link’s — weight. 93. Diversity of Link Types: Having an unnaturally large percentage of your links come from a single source (ie. forum profiles, blog comments) may be a sign of webspam. On the other hand, links from diverse sources is a sign of a natural link profile. 94. “Sponsored Links” Or Other Words Around Link: Words like “sponsors”, “link partners” and “sponsored links” may decrease a link’s value. 96. Excessive 301 Redirects to Page: Links coming from 301 redirects dilute some (or even all) PR, according to a Webmaster Help Video. 98. Internal Link Anchor Text: Internal link anchor text is another relevancy signal, although probably weighed differently than backlink anchor text. 99. Link Title Attribution: The link title (the text that appears when you hover over a link) is also used as a weak relevancy signals. 100. Country TLD of Referring Domain: Getting links from country-specific top level domain extensions (.de, .cn, .co.uk) may help you rank better in that country. 101. Link Location In Content: Links the beginning of a piece of content carry slight more weight than links placed at the end of the content. 102. Link Location on Page: Where a link appears on a page is important. Generally, links embedded in a page’s content are more powerful than links in the footer or sidebar area. 103. Linking Domain Relevancy: A link from site in a similar niche is significantly more powerful than a link from a completely unrelated site. 104. Page Level Relevancy: The Hilltop Algorithm states that link from a page that’s closely tied to page’s content is more powerful than a link from an unrelated page. 105. Text Around Link Sentiment: Google has probably figured out whether or not a link to your site is a recommendation or part of a negative review. Links with positive sentiments around them likely carry more weight. 107. Positive Link Velocity: A site with positive link velocity usually gets a SERP boost. 108. Negative Link Velocity: Negative link velocity can significantly reduce rankings as it’s a signal of decreasing popularity. 109. Links from “Hub” Pages: Aaron Wall claims that getting links from pages that are considered top resources (or hubs) on a certain topic are given special treatment. 110. Link from Authority Sites: A link from a site considered an “authority site” likely pass more juice than a link from a small, microniche site. 111. Linked to as Wikipedia Source: Although the links are nofollow, many think that getting a link from Wikipedia gives you a little added trust and authority in the eyes of search engines. 112. Co-Occurrences: The words that tend to appear around your backlinkshelps tell Google what that page is about. 113. Backlink Age: According to a Google patent, older links have more ranking power than newly minted backlinks. 114. Links from Real Sites vs. Splogs: Due to the proliferation of blog networks, Google probably gives more weight to links coming from “real sites” than from fake blogs. They likely use brand and user-interaction signals to distinguish between the two. 115. Natural Link Profile: A site with a “natural” link profile is going to rank highly and be more durable to updates. 116. Reciprocal Links: Google’s Link Schemes page lists “Excessive link exchanging” as a link scheme to avoid. 117. 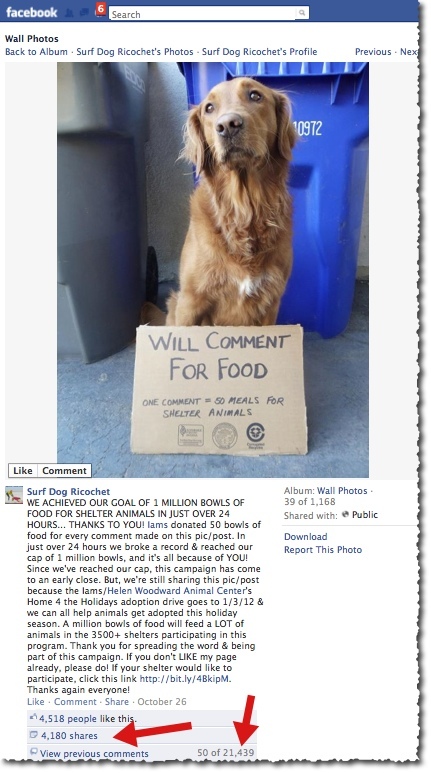 User Generated Content Links: Google is able to identify links generated from UGC vs. the actual site owner. For example, they know that a link from the official WordPress.com blog at en.blog.wordpress.com is very different than a link from besttoasterreviews.wordpress.com. 118. Links from 301: Links from 301 redirects may lose a little bit of juice compared to a direct link. However, Matt Cutts says that a 301 is the similar to a direct link. 120. DMOZ Listed: Many believe that Google gives DMOZ listed sites a little extra trust. 121. Yahoo! Directory Listed: The algorithm might also have a special place for the Yahoo! Directory, considering how long it’s been cataloging sites. 122. Number of Outbound Links on Page: PageRank is finite. A link on a page with hundreds of OBLs passes less PR than a page with only a few OBLs. 123. Forum Profile Links: Because of industrial-level spamming, Google may significantly devalue links from forum profiles. 124. Word Count of Linking Content: A link from a 1000-word post is more valuable than a link inside of a 25-word snippet. 125. Quality of Linking Content: Links from poorly written or spun content don’t pass as much value as links from well-written, multimedia-enhanced content. 126. Sitewide Links: Matt Cutts has confirmed that sitewide links are “compressed” to count as a single link. 127. Organic Click Through Rate for a Keyword: Pages that get clicked more in CTR may get a SERP boost for that particular keyword. 128. Organic CTR for All Keywords: A page’s (or site’s) organic CTR for all keywords is ranks for may be a human-based, user interaction signal. 129. Bounce Rate: Not everyone in SEO agrees bounce rate matters, but it may be a way of Google to use their users as quality testers (pages where people quickly bounce is probably not very good). 130. Direct Traffic: It’s confirmed that Google uses data from Google Chrometo determine whether or not people visit a site (and how often). Sites with lots of direct traffic are likely higher quality than sites that get very little direct traffic. 132. Blocked Sites: Google has discontinued this feature in Chrome. However,Panda used this feature as a quality signal. 133. Chrome Bookmarks: We know that Google collects Chrome browser usage data. Pages that get bookmarked in Chrome might get a boost. 134. Google Toolbar Data: Search Engine Watch’s Danny Goodwin reportsthat Google uses toolbar data as a ranking signal. However, besides page loading speed and malware, it’s now know what kind of data they glean from the toolbar. 135. 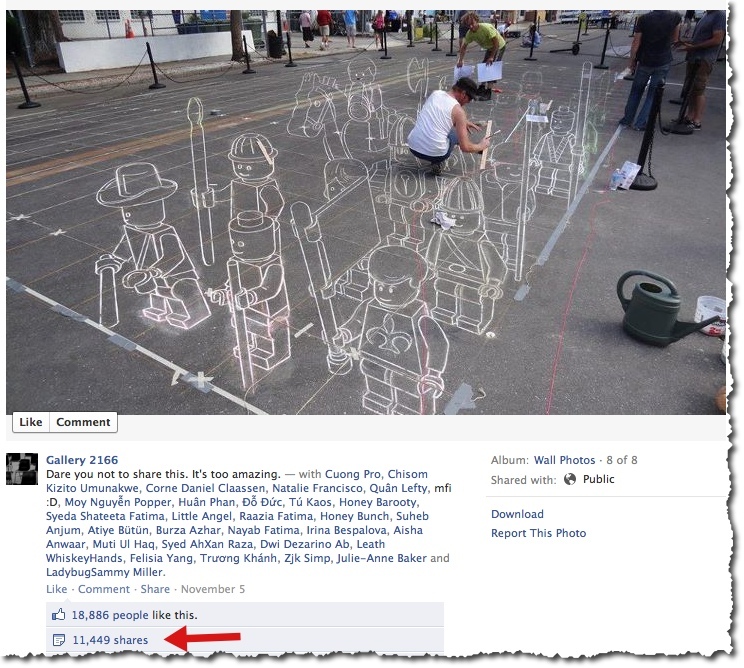 Number of Comments: Pages with lots of comments may be a signal of user-interaction and quality. 136. Time on Site: Google Analytics and Chrome data may help Google determine your user average time on site. If people spend a lot of time on your site, that may be used as a quality signal. 137. Query Deserves Freshness: Google gives newer pages a boost for certain searches. 138. Query Deserves Diversity: Google may add diversity to a SERP for ambiguous keywords, such as “ted”, “WWF” or “ruby”. 139. User Browsing History: Sites that you frequently visit while signed into Google get a SERP bump for your searches. 140. User Search History: Search chain influence search results for later searches. For example, if you search for “reviews” then search for “toasters”, Google is more likely to show toaster review sites higher in the SERPs. 142. Safe Search: Search results with curse words or adult content won’t appear for people with Safe Search turned on. 144. DMCA Complaints: Google “downranks” pages with DMCA complaints. 145. Domain Diversity: The so-called “Bigfoot Update” supposedly added more domains to each SERP page. 147. Local Searches: Google often places Google+ Local results above the “normal” organic SERPs. 153. Number of Tweets: Like links, the tweets a page has may influence its rank in Google. 154. Authority of Twitter Users Accounts: It’s likely that Tweets coming from aged, authority Twitter profiles with a ton of followers (like Justin Bieber) have more of an effect than tweets from new, low-influence accounts. 155. Number of Facebook Likes: Although Google can’t see most Facebook accounts, it’s likely they consider the number of Facebook likes a page receives as a weak ranking signal. 156. Facebook Shares: Facebook shares — because they’re more similar to a backlink — may have a stronger influence than Facebook likes. 157. Authority of Facebook User Accounts: As with Twitter, Facebook shares and likes coming from popular Facebook pages may pass more weight. 158. Pinterest Pins: Pinterest is an insanely popular social media account with lots of public data. It’s probably that Google considers Pinterest Pins a social signal. 159. Votes on Social Sharing Sites: It’s possible that Google uses shares at sites like Reddit, Stumbleupon and Digg as another type of social signal. 160. Number of Google+1′s: Although Matt Cutts gone on the record as saying Google+ has “no direct effect” on rankings, it’s hard to believe that they’d ignore their own social network. 161. Authority of Google+ User Accounts: It’s logical that Google would weigh +1′s coming from authoritative accounts more than from accounts without many followers. Verified authorship may already be a trust signal. 164. Site Level Social Signals: Site-wide social signals may increase a site’s overall authority, which will increase search visibility for all of its pages. 166. Branded Searches: It’s simple: people search for brands. If people search for your site in Google (ie. “Backlinko twitter”, Backlinko + “ranking factors”), Google likely takes this into consideration when determining a brand. 167. 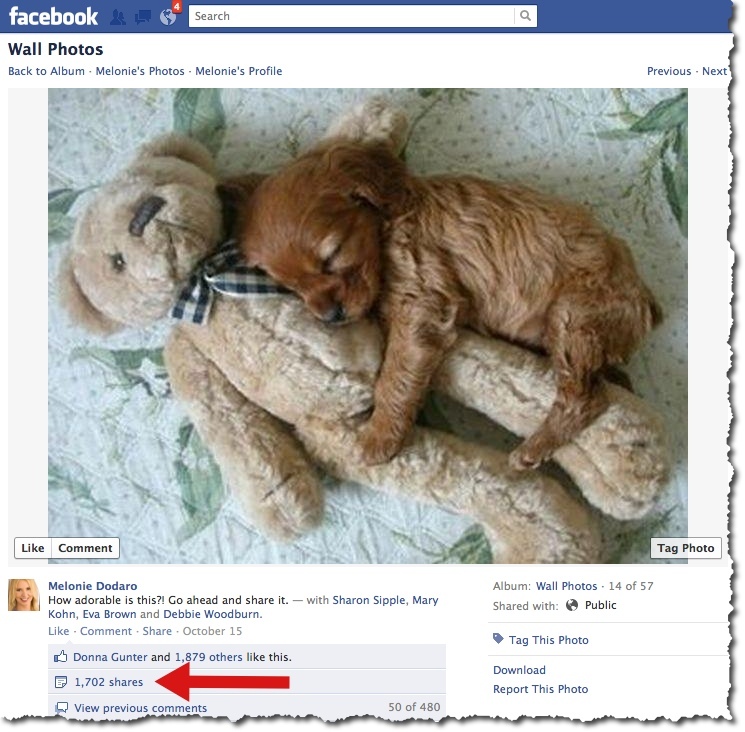 Site Has Facebook Page and Likes: Brands tend to have Facebook pages with lots of likes. 168. Site has Twitter Profile with Followers: Twitter profiles with a lot of followers signals a popular brand. 169. Official Linkedin Company Page: Most real businesses have company Linkedin pages. 170. Employees Listed at Linkedin: Rand Fishkin thinks that having Linkedin profiles that say they work for your company is a brand signal. 171. Legitimacy of Social Media Accounts: A social media account with 10,000 followers and 2 posts is probably interpreted a lot differently than another 10,000-follower strong account with lots of interaction. 173. Co-Citations: Brands get mentioned without getting linked to. Google likely looks at non-hyperlinked brand mentions as a brand signal. 174. Number of RSS Subscribers: Considering that Google owns the popular Feedburner RSS service, it makes sense that they would look at RSS Subscriber data as a popularity/brand signal. 175. Brick and Mortar Location With Google+ Local Listing: Real businesses have offices. It’s possible that Google fishes for location-data to determine whether or not a site is a big brand. 176. Website is Tax Paying Business: SEOMoz reports that Google may look at whether or not a site is associated with a tax-paying business. 177. Panda Penalty: Sites with low-quality content (particularly content farms) are less visible in search after getting hit by a Panda penalty. 178. Links to Bad Neighborhoods: Linking out to “bad neighborhoods” — like pharmacy or payday loan sites — may hurt your search visibility. 179. Redirects: Sneaky redirects is a big no-no. If caught, it can get a site not just penalized, but de-indexed. 180. Popups or Distracting Ads: The official Google Rater Guidelines Document says that popups and distracting ads is a sign of a low-quality site. 181. Site Over-Optimization: Includes on-page factors like keyword stuffing, header tag stuffing, excessive keyword decoration. 182. Page Over-Optimizaton: Many people report that — unlike Panda — Penguin targets individual page (and even then just for certain keywords). 183. Ads Above the Fold: The “Page Layout Algorithm” penalizes sites with lots of ads (and not much content) above the fold. 184. Hiding Affiliate Links: Going too far when trying to hide affiliate links (especially with cloaking) can bring on a penalty. 185. Affiliate Sites: It’s no secret that Google isn’t the biggest fan of affiliates. And many think that sites that monetize with affiliate links are put under extra scrutiny. 186. Autogenerated Content: Google isn’t a big fan of autogenerated content. If they suspect that your site’s pumping out computer-generated content, it could result in a penalty or de-indexing. 187. Excess PageRank Sculpting: Going too far with PageRank sculpting — by nofollowing all outbound links or most internal links — may be a sign of gaming the system. 188. IP Address Flagged as Spam: If your server’s IP address is flagged for spam, it may hurt all of the sites on that server. 189. Meta Tag Spamming: Keyword stuffing can also happen in meta tags. If Google thinks you’re adding keywords to your meta tags to game the algo, they may hit your site. 190. Unnatural Influx of Links: A sudden (and unnatural) influx of links is a sure-fire sign of phony links. 191. Penguin Penalty: Sites that were hit by Google Penguin are significantly less visible in search. 192. Link Profile with High % of Low Quality Links: Lots of links from sources commonly used by black hat SEOs (like blog comments and forum profiles) may be a sign of gaming the system. 193. Linking Domain Relevancy: The famous analysis byMicroSiteMasters.com found that sites with an unnaturally high amount of links from unrelated sites were more susceptible to Penguin. 194. Unnatural Links Warning: Google sent out thousands of “Google Webmaster Tools notice of detected unnatural links” messages. This usually precedes a ranking drop, although not 100% of the time. 196. “Poison” Anchor Text: Having “poison” anchor text (especially pharmacy keywords) pointed to your site may be a sign of spam or a hacked site. Either way, it can hurt your site’s ranking. 197. Manual Penalty: Google has been known to hand out manual penalties, like in the well-publicized Interflora fiasco. 198. Selling Links: Selling links can definitely impact toolbar PageRank and may hurt your search visibility. 199. Google Sandbox: New sites that get a sudden influx of links are sometimes put in the Google Sandbox, which temporarily limits search visibility. 200. Google Dance: The Google Dance can temporarily shake up rankings. According to a Google Patent, this may be a way for them to determine whether or not a site is trying to game the algorithm. 201. Disavow Tool: Use of the Disavow Tool may remove a manual or algorithmic penalty for sites that were the victims of negative SEO. There you have it, 200 ranking factors…plus two more for good measure. I spent at least 20 hours on this post, scouring the web for every ranking factor I could find. We’re huge champions of using SEO to drive more traffic to your blog or website because we know it works. The majority of traffic to our publisher network of 200,000 websites and blogs who reach over 300 million people each month comes from search. One of our favorite resources on SEO is SEOmoz–this past Friday, they posted an awesome video on the state of on-page SEO in 2012 that we thought would be a wonderful resource for you. In the past, you just needed to include the right keywords in your URLs, resulting in URLs like “online-watches-that-rock.info.” These days, people take domain name into account when deciding to click it–Do they recognize it? Do they trust it? If people don’t recognize the domain name as a brand or trust that it most likely could be a brand, they will be much less likely to click the website in the search results. Now, you should consider both branding and keywords when choosing a domain name. Even though the page title tag is meant to help search engines, it’s now getting more visibility to everyone else through social media. Many social networks pull the title tag, meta description and a featured image when sharing, so make sure to make your page title both keyword and human friendly. Though we’ve already gone over the difference between page titles and headlines, the two are becoming even more intertwined in 2012. Like page titles becoming more human friendly, headlines should be using keywords as well to let readers from search engines know it will address the problems they searched about. We’ve often touted SEOmoz’s infographic of the perfectly keyword-targeted blog post–and it’s still relevant today. Still pepper keywords throughout the post the same way that you’ve always done it, especially at the top of the post where you are still trying to capture the attention of your readers. This hasn’t changed much, but it is such an important point that we couldn’t leave it out. Always include headings within your text and with their tags (H1, H2, etc). Not only does it make it easier for your readers to scan and digest your content (thus increasing the possibility of sharing the post to their social networks), but the heading tags also help search engines better categorize your site. In “old school SEO”, you needed to just make sure that if you included an image you always included an alt tag. Now, it’s essential that you include images a majority of the time in your posts as social networks like Pinterest are becoming even more visual-focused. Even if you’re not trying to market your blog on Pinterest, images are pulled with the title and meta description for many social networks including Facebook, Twitter and LinkedIn, so be sure to include them in your posts. You also need to be concerned with standing out from the other search results. One way to improve your click-through rate is to set the “rel=author” listing with Google–this way, your picture will appear next to any articles you’ve written that appear in the search engine. Like we’ve said before, images are much more captivating than text alone, so use the rel=author tag to help drive more traffic to your site from search engines. As the internet has gotten incredibly faster across the world, people now expect your website or blog to load almost instantaneously. Having a fast load time will help lower your bounce rate and increase time on site–two important indicators Google uses to assess your content. One way to decrease your page load time is to use tools like Shareaholic because all of our tools reside in one plugin–you don’t have to find multiple tools for your social sharing and related content needs. You shouldn’t have to compromise your site load time with your tools, so make sure you’ve consolidated all the plugins and tools. We’ve mentioned before how important optimizing for mobile is–mobile traffic to our publisher network has increased by 27% in this year alone. If your site has funky headers, too large images and poorly sized layout, people will be much more likely to bounce off your page. To ensure your bounce rates are low on mobile, make sure your site is properly optimized with responsive themes and tools.